Will the Valentino iconic Rockstud shoes become a classic? Time will tell, but one thing is for sure. They go with everything and can give an outfit that little needed extra without making a statement for the wrong reasons as in this London street style look. And, yes they appear on my wishlist. You? Inspired? 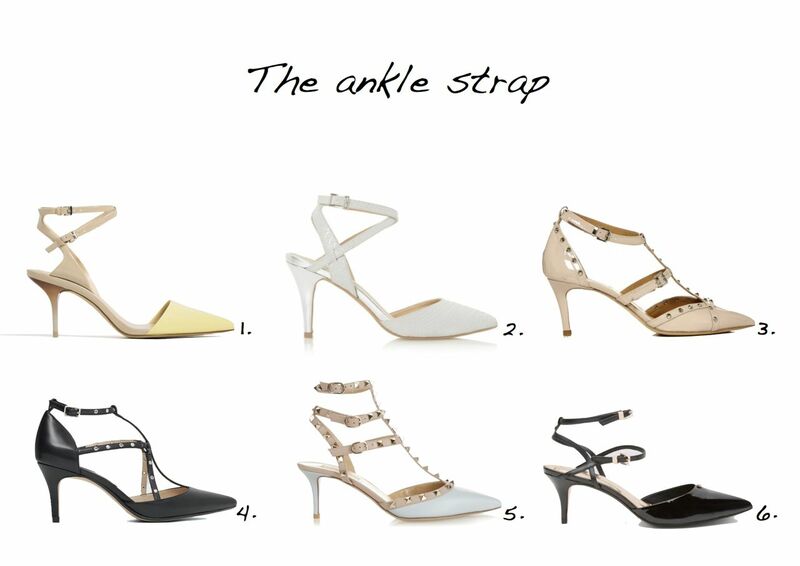 See the below edit of ankle strap shoes. 1. Zara Medium Heel Leather Shoes With Double Ankle Strap £39.99. 2. Head Over Heels by Dune Celina Snake Print Pointed Courts £48. 3. Moda in Pelle Kamelia mid heel pointed toe court shoes £119.95. 4. Mango High Heel Shoes With Ankle Straps £39.99. 5. Valentino Rockstud Leather Pumps £620/€720. 6. Ted Baker Khuvan Patent Leather Ankle Strap Shoes £95.